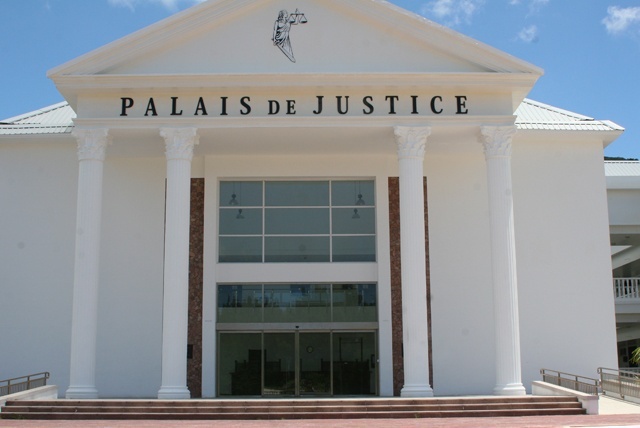 (Seychelles News Agency) - The Seychelles Court of Appeal -- the island nation’s top court -- on Friday ruled on two separate piracy cases, deciding that there was not enough evidence to maintain the conviction of five Somalis while dismissing the appeals submitted by eight others. 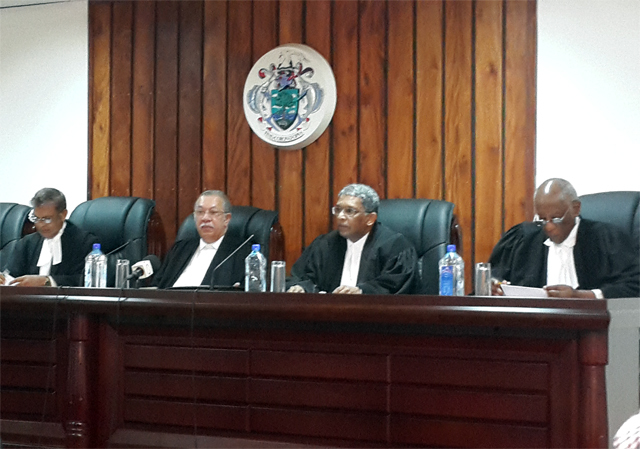 The President of the appeal’s court -- judge Francis MacGregor and judges Anthony Fernnado, Satyabhooshun Gupt Domah and January Msoffe -- delivered the ruling at the end of its last session for 2016. The appeals from the five suspected Somali pirates relates to their June 2016 conviction to 12 years imprisonment by the Seychelles Supreme Court, after they were found guilty of piracy offences. They were the last group of suspected Somali pirates remaining to go on trial in Seychelles. The five men stood accused of attacking a dhow and holding the Indian crew as hostages, as well as for using the dhow as a pirate ship to attack a cargo vessel. They were convicted of two out of three counts of piracy brought against them by the prosecution. The offences were said to have been committed in the Gulf of Aden between January 1 and January 18, 2014. The five suspected pirates were transferred to Seychelles on January 30, 2014 by French naval ship FS Siroco, which was part of the EU Naval Force, in collaboration with a Japanese air force plane. In its decision on Friday, the Court of Appeal said there was not enough evidence to maintain the convictions. In the second appeal lodged by sentenced Somalis accused of piracy, the Court of Appeal maintained sentences of 14 years imposed on eight men found guilty on three different counts of piracy in March 2015. The eight men were among a group of nine Somalis arrested in November 2013 and accused of committing an act of piracy on the high seas against a Hong-Kong flagged vessel M/V Zhongji No. 1 and against a Danish Ship M/V Torm Kansas, as well as for making use of a whaler as a pirate ship. The suspected pirates were handed over to the Seychelles authorities on November 30, 2013 by Danish Navy ship, HDMS Esbern Snare, after they were arrested on the high seas, in the Gulf of Aden. The ninth accused in the case – a minor -- was subsequently repatriated to Somalia. In its ruling, again delivered by Judge Anthony Fernando on Friday, the Court of Appeal dismissed the appeal both against both the conviction and sentence of the eight Somalis, who throughout the case had argued that they were merely fishermen, thus maintaining their 14 year sentences. The lawyer representing the eight men, Nichol Gabriel, said his clients’ appeal was based on whether the judge had seen and considered all evidence in the case. He told SNA that the incriminating evidence was the fact that there was a GPS, a mobile phone, a ladder, a lot of fuel tanks, but no fishing gears on board their skiffs. Gabriel said they had also argued that the Captains and crew members of both tankers could not agree on how many pirates were present at the time of the attacks. “Some said there were four or five then nine and even in court they could not identify the men, but the most incriminating evidence was the GPS as they could not explain why it was in their possession,” he said. Seychelles, a 115-island archipelago in the western Indian Ocean, ended up placing itself at the forefront of the fight against piracy as the scourge, which began to plague the Indian Ocean in 2005, had a direct impact on the country's tourism and fisheries sectors. Over the last six years the island nation has conducted nearly 20 piracy trials, convicted over a hundred suspected pirates, more than any other country in the region. The number of Somalis incarcerated at the Seychelles main detention facility, the Montagne Posée prison stands at 22 – including the two groups that appeared before the appeals court on Friday.